Our goal is to provide cost-effective, best-of-breed wireless solutions to protect, manage and maximise your fleet and mobile assets. Our guarantee is that each device or service we offer is current, robust and reliable. 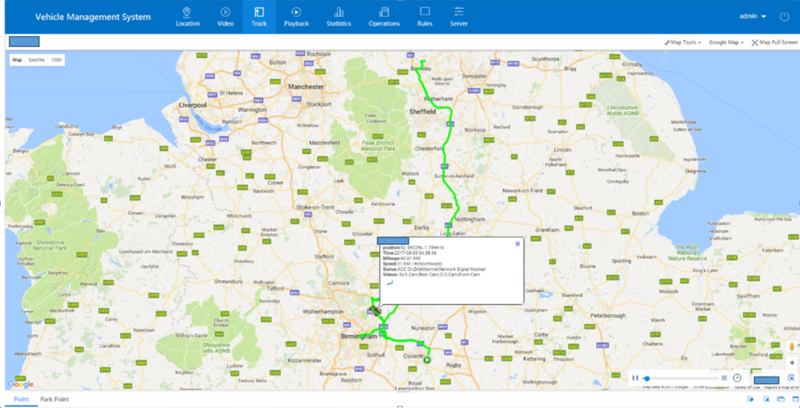 The systems advanced analytical software and reporting enables operators to monitor driver efficiency, enabling more effective driver behaviour monitoring and ability to assess driver training requirement quickly and efficiently both in real time Live view images and or retrospect via smart phone or PC. 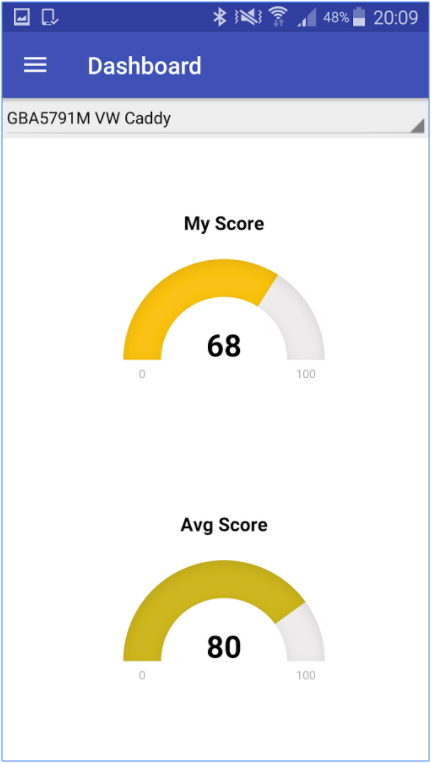 Improve driver behavior and road safety // Reduce accidents both on and off the road // Reduce insurance claims // Increase fuel efficiency // Improve health and safety // Help drivers on their driving habits and style // Prevents insurance fraud and fraudulent accident claims // Help to protect your no claims bonus // Able to use via phone or PC. Available to download on the app store and play store. 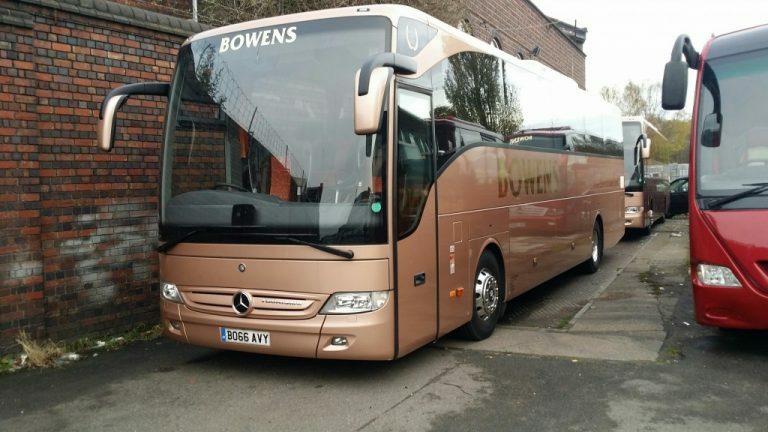 Due to their size coaches have more blind spots than many other vehicles. 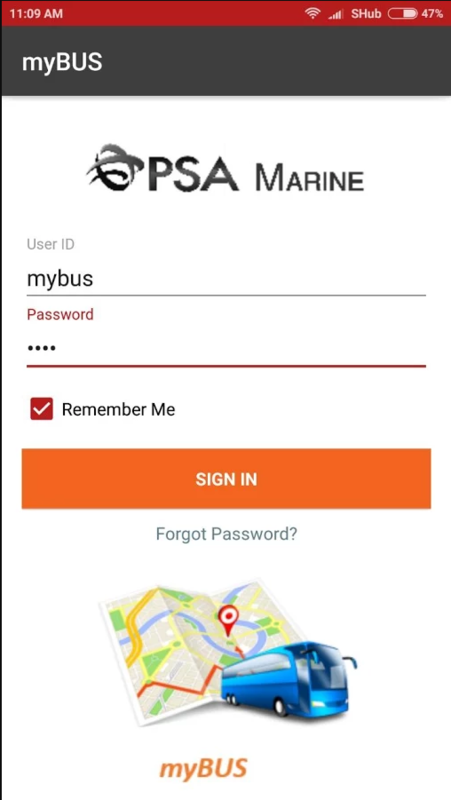 This creates challenges for drivers and adds to the fact that they are responsible for the safety of everybody on board. As a result they need to have the right training and must drive to suit the conditions. Utilising the right technology can help too. The emergency services system provides dual capabilities that includes on board digital video recorder (DVR) and 3G streaming, it also focuses on the road ahead, blind spots, passenger and driver side and also the rear. Emergency services vehicles need to remain on the road to ensure they are providing the services that members of the public desperately need. Fortunately there is a wide array of different devices that can help to ensure this occurs. 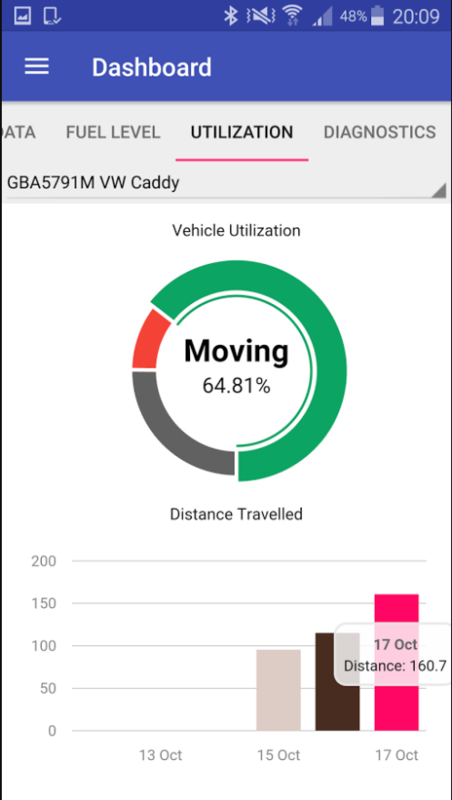 Behaviour inside and outside of the vehicles can be monitored // Each vehicle can be located with ease // Increased safety and security // Providing data in real time with up-to-date and exact reports. The emergency services 3G/4G live vehicle camera and tracking systems are highly efficient and can be installed in all kinds of vehicle. We developed them with care and conducted extensive testing to ensure their performance meets our very high standards. 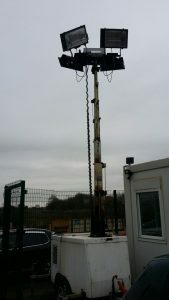 In addition to the devices above we also offer an emergency services crash warning system. This is a very useful piece of technology that can dramatically increase the risk of avoiding accidents. The device notifies drivers when vehicles are in close proximity and a collision could occur, allowing them to make the right decision. Again the emergency services crash warning system can be installed in various vehicles, from police cars to ambulances and fire engines. It will alert the driver in a timely manner every time. This is particularly useful for high speed vehicles and those that have unusual blind spots. We are confident in the performance of all of our products. To make them even more useful we designed each one so that it can complement the others. This means that our clients can choose to install a single system or several if they want a myriad of different features and benefits. 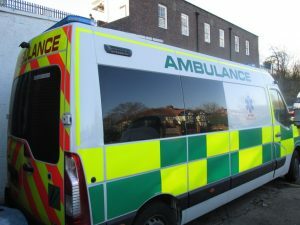 At Neatcom we are really passionate about helping the emergency services so they can provide their important services. Whilst working hard to maximise quality we have also done all we can to ensure we offer the very best prices. As a result our devices are highly accessible and can prove to be even more rewarding investments. 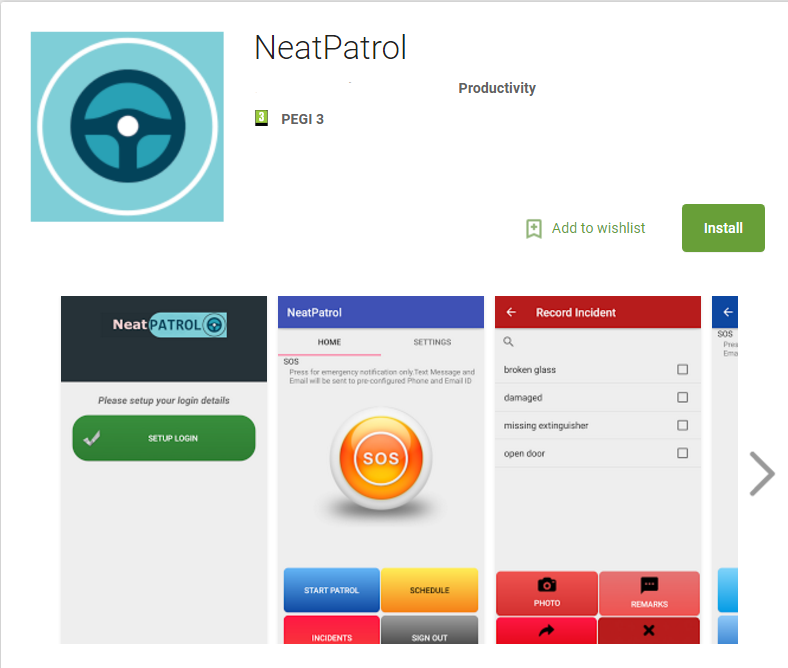 At Neatcom we are committed to offering the highest quality products to improve vehicle safety and security. 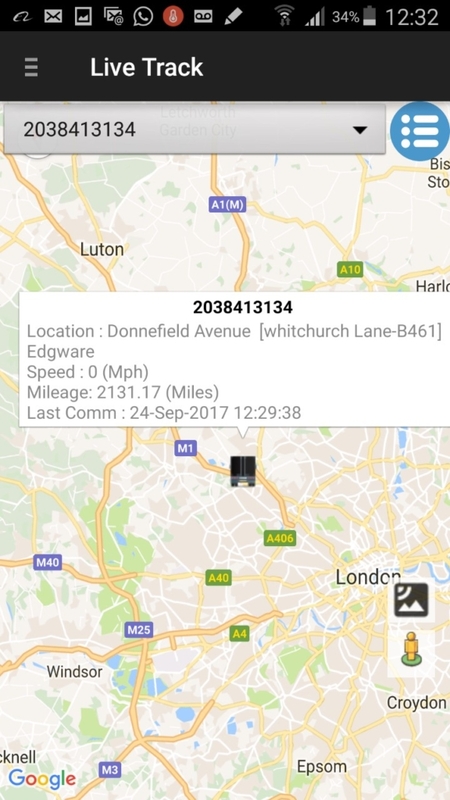 Amongst our range you can find car 3G/4G live vehicle camera and tracking solutions as well as a car crash warning system. All of the systems were developed with great care following significant investment in research, development and testing. As a result you can expect the very best quality. 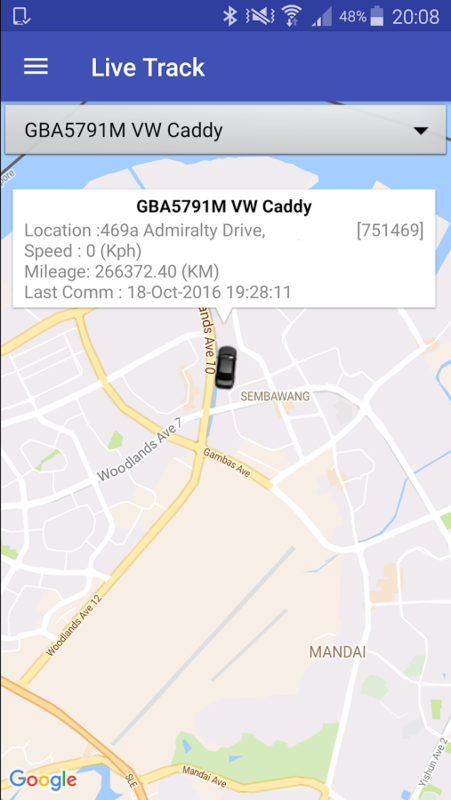 The car 3G/4G live vehicle camera and tracking systems allow you to record footage and track the location of vehicles with great accuracy. The idea is that the devices will improve safety, boosting both driver and passenger behaviour. 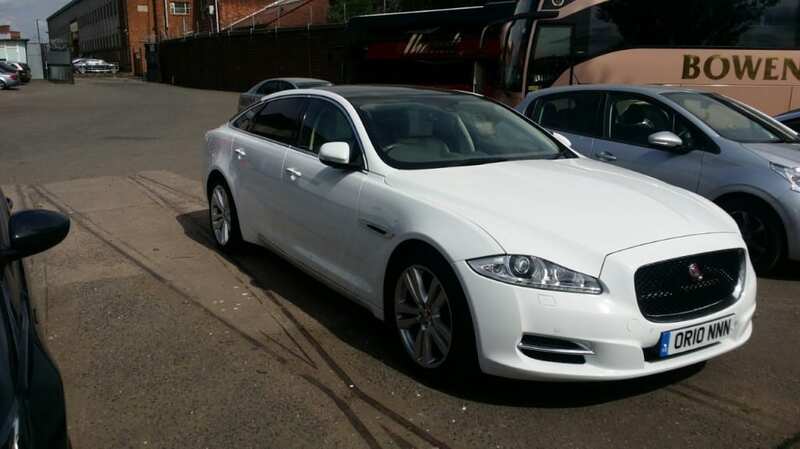 They are used in various cars, from company vehicles to private taxis. The car crash warning system is also designed to improve safety by alerting the driver to the risks of a collision. It is important that warnings are given in a timely manner so that drivers can take action and reduce the risk of accidents. 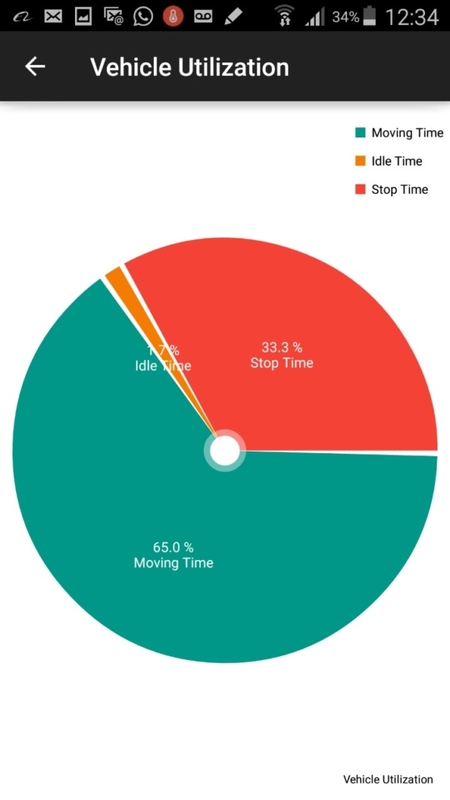 We developed the device with this in mind, ensuring it gives ample time for a response. There are several reasons why you should choose Neatcom for vehicle safety devices. 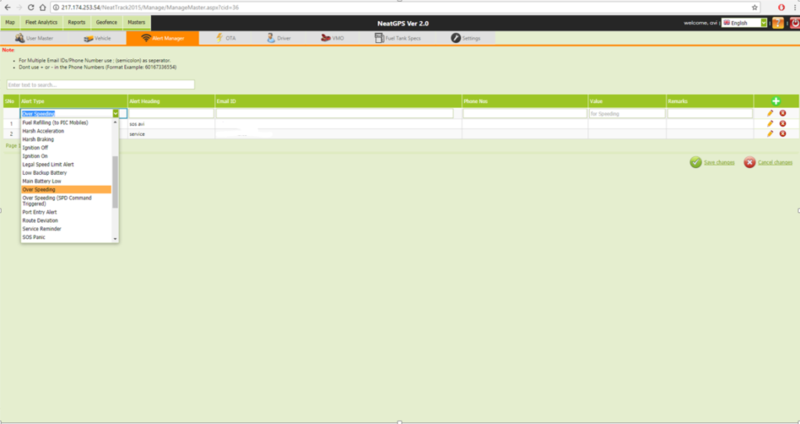 Firstly we develop them ourselves, checking all applications in the process. This means we can retain our very high standards at all times and provide great assurances on quality. 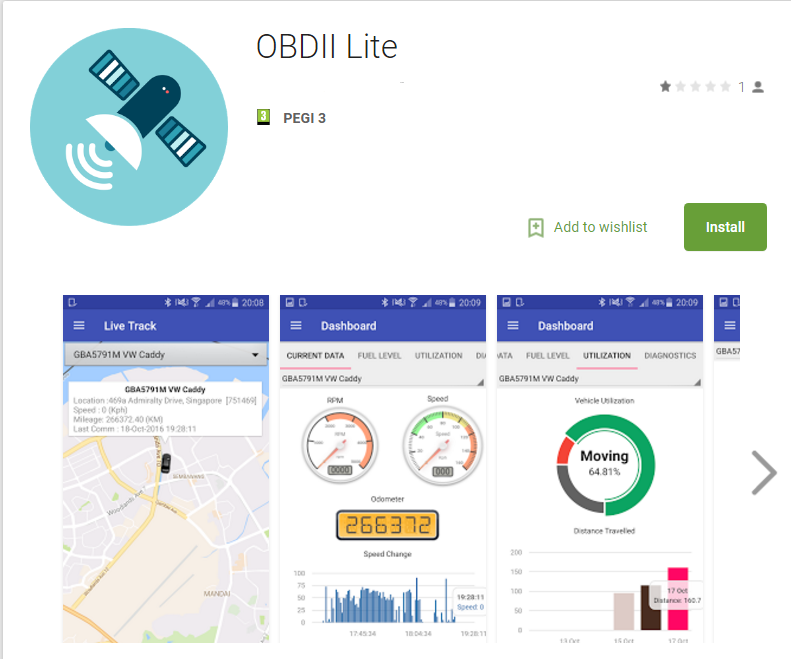 Secondly we are constantly looking for ways to improve the performance of our devices, whether it is through updates or introducing new features. This means our systems will serve you for a long period of time. A final major benefit is that we have built partnerships with key technology providers. As a result we can provide cutting edge devices that deliver the very best value. We offer all of this whilst keeping our prices as affordable as possible. Our products are used by businesses in a wide variety of industries. This shows just how useful and flexible they are. If you would like to find out more please browse our website or contact us directly by calling 0247 672 6618. It is important to never underestimate the value of commercial vans. Any time they spend off the road can translate to huge losses and big disruptions for the business. 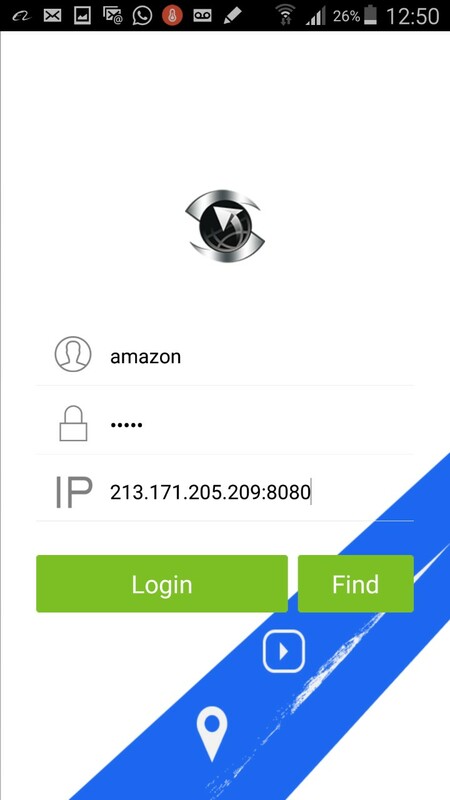 With this in mind our team at Neatcom has developed cutting edge safety and security devices such as van 3G/4G live vehicle camera and tracking, and a van crash warning system. Our devices are designed by us and extensively tested to ensure they offer the very best in terms of performance. In addition we have built great partnerships with technology manufacturers andinnovators, giving us access to the most cutting edge components. This means that each of our systems will offer fantastic functionality and features. One of the most important reasons to install van 3G/4G live vehicle camera and tracking is to ensure drivers behave appropriately. The cameras can monitor their behaviour and the tracking lets you determine exactly where the vehicle is at any moment. 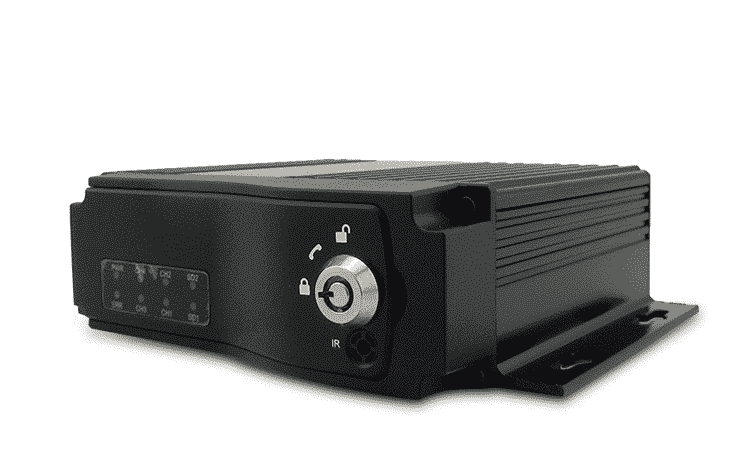 In addition the systems are very useful if vans are ever stolen. This provides great peace of mind. The biggest benefit of a van crash warning system is it gives drivers an indication of when an accident is imminent. They can alert drivers when vehicles get too close and some systems even show traffic travelling in the opposite direction. Fitting the devices into vehicles improves safety and reduces the risk of accidents, thereby keeping the vans on the road. The fact we offer such a wide range of devices is a big benefit to commercial clients, regardless of the industry they serve. 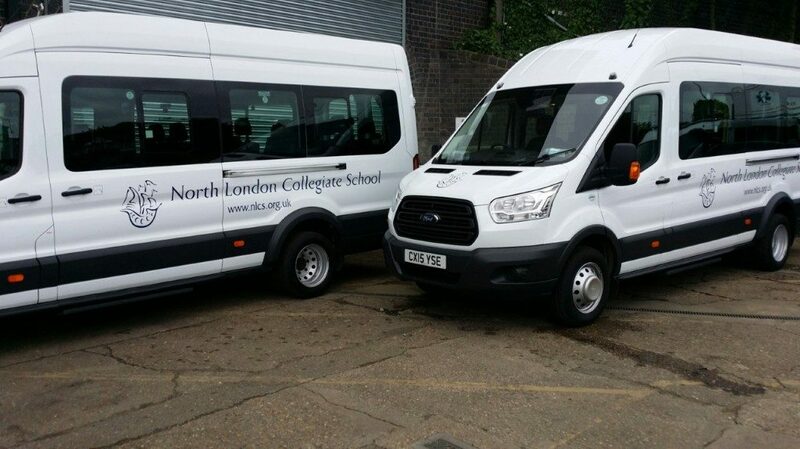 Whenever a business has a van or a fleet of them they can install our products to improve safety, security, and performance. Our solutions are complementary, meaning they can easily be combined to create a single, comprehensive system. 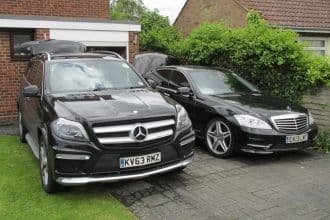 At Neatcom we have a lot of experience and understand that every client has their own requirements when it comes to vehicle safety and security. Fortunately we have the devices and knowledge to help provide a solution for any situation. We can offer support and guidance to help deliver the right products to address the problem. If you would like to enquire further about the products above or any of the others we have to offer please contact us at 0247 672 6618. We will be happy to discuss your needs and offer recommendations. Bus drivers are responsible for the safety of their passengers. As a result it is vital that they behave appropriately at all times. Additionally with a number of people on board it is important to make arrangements to keep the driver safe. 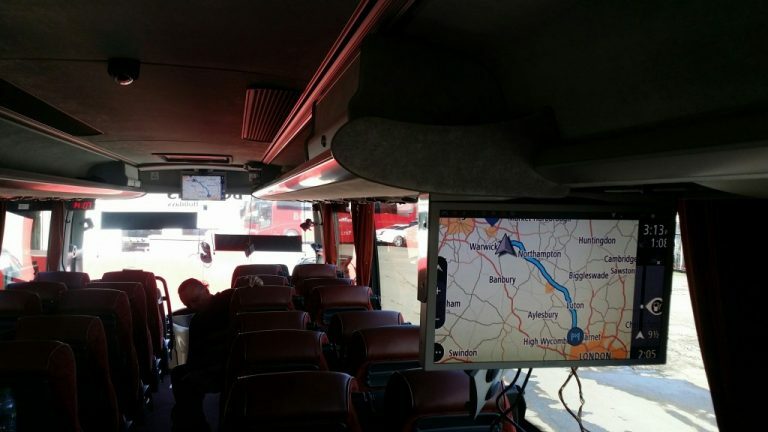 Neatcom products such as our bus 3G/4G live vehicle camera and tracking and bus crash warning system can help achieve both things. 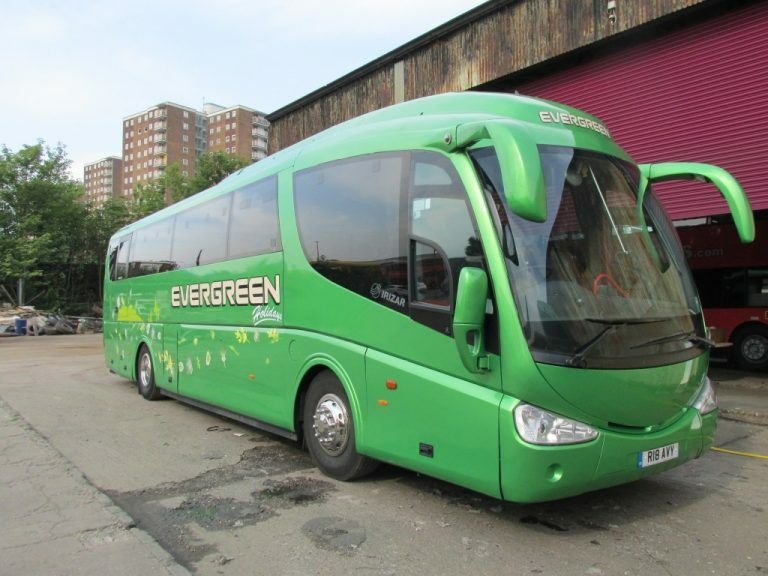 Our vehicle safety and security devices are suitable for buses of all sizes, from minibuses with between 8 and 16 seats for passengers to larger vehicles. We developed them ourselves, utilising our extensive experience and quality components from our partners. Each variety of device has been extensive tested to ensure it meets our very high standards. We do this because we place great value on performance and customer satisfaction. 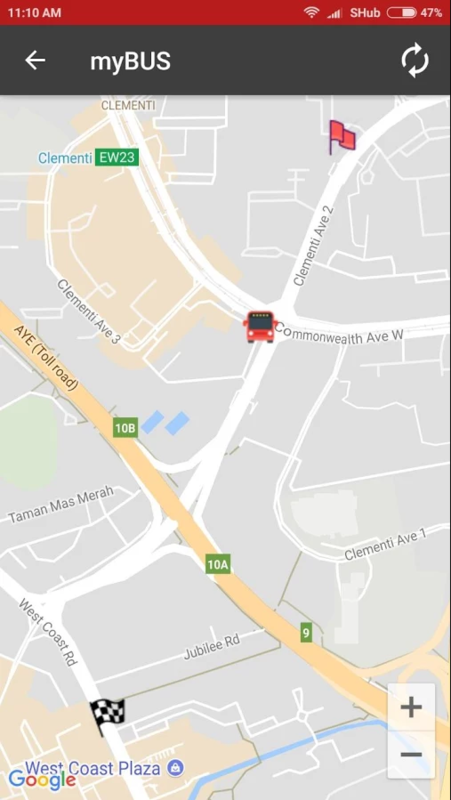 Bus 3G/4G live vehicle camera and tracking means that it is possible to see inside the vehicles at all times and locate them. This is important to make sure that the driver and passengers are behaving and that the bus is sticking to its route. Any problems and deviations will be recorded. Cameras can even be placed to monitor outside of the vehicle, thereby determining who is at fault for problems. 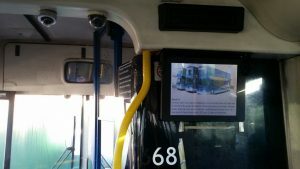 A bus crash warning system can prove to be invaluable to keeping everybody safe and ensuring buses remain on the road. 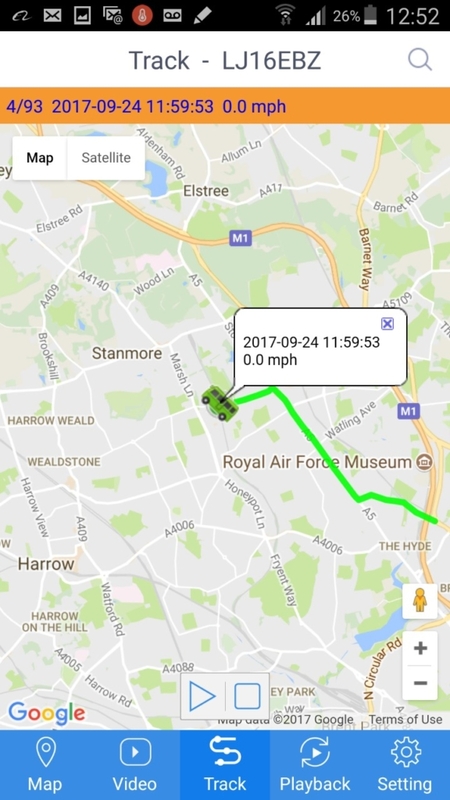 The device utilises sensors to tell when vehicles are close by, notifying the driver of their presence. This can be highly beneficial with larger vehicles because they have more blind spots and need more time to take action. Both of these systems can be installed on an individual vehicle. We design each product to ensure it is complementary and able to be integrated into a single system. That way each client can pick and choose which ones they want to use, resulting in a bespoke solution that meets their specifications. In addition we have worked hard to keep our prices down, thereby making our systems highly accessible to clients. We are confident they will prove to be a very good investment and provide long term service. With the latter in mind we regularly provide updates and upgrade the technology to ensure maximum performance and functionality. 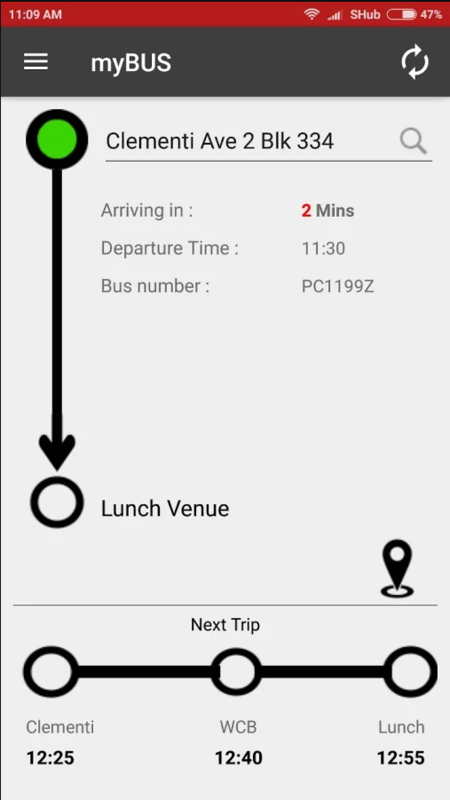 If you are looking for a bespoke solution to improve bus safety please Neatcom products. You can contact us on 0247 672 6618 to find out more about them and go over your needs with a member of our team. 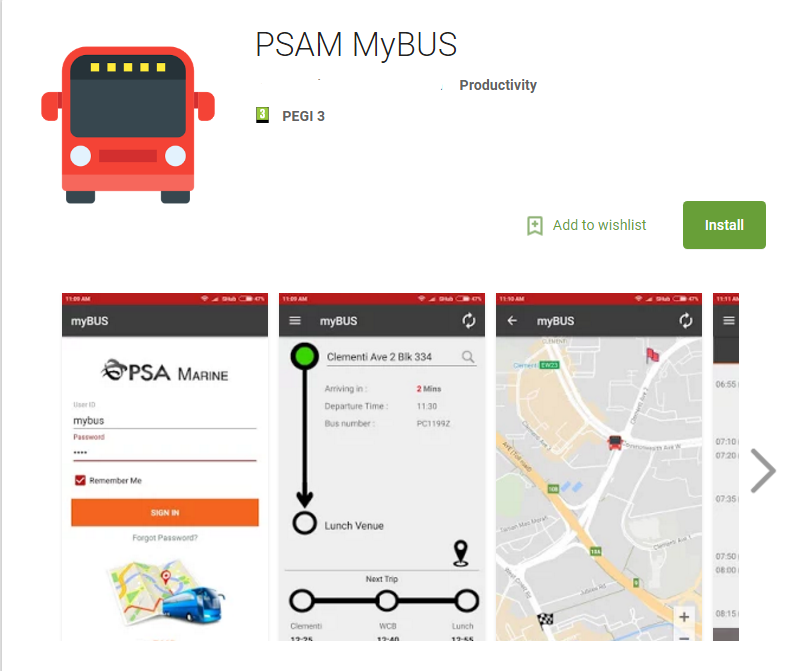 Safety and security is important on public transport. At Neatcom we have devised and developed a wide range of devices to help boost both, protecting staff and passengers alike. The systems can complement one-another, allowing clients to pick and choose the ones they want and integrate them. We work hard to deliver unbeatable quality and also offer great support and customer services. 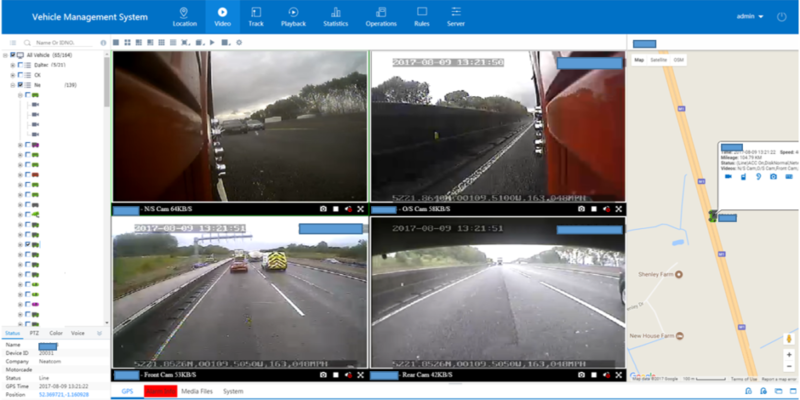 Our public transport 3G/4G live vehicle camera and tracking systems can boost safety and security whilst also helping to improve the performance of drivers. The cameras monitor the situation inside and outside of the vehicle, keeping a record of behaviour. This means it is possible to see exactly what the driver, passengers, and members of the general public do. 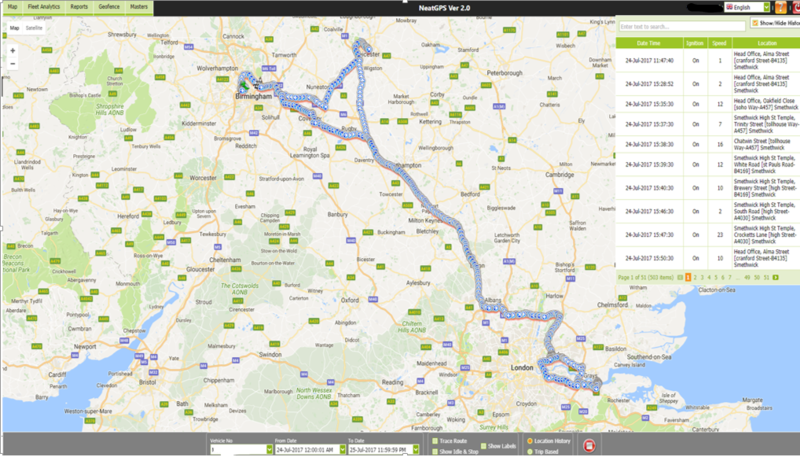 The GPS tracking means it is possible to pin-point the position of a vehicle at any time. 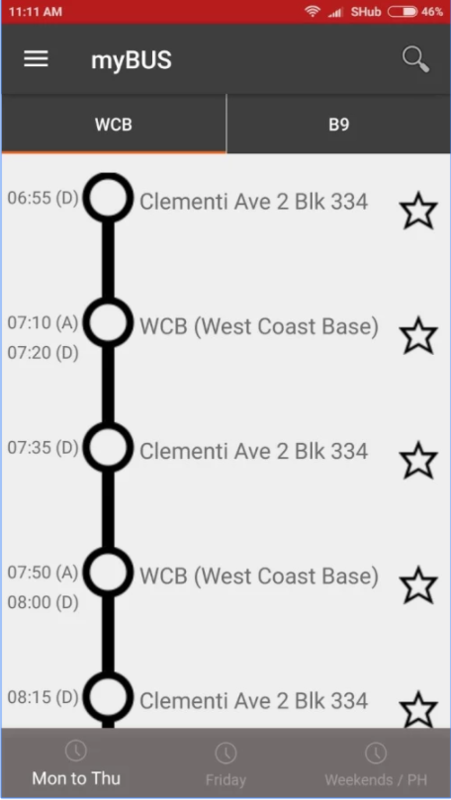 This is crucial when it comes to scheduling and means the controllers of the public transport can determine which drivers are on time, early, and late. It also means vehicles can be located if they deviate from their route for any reason. 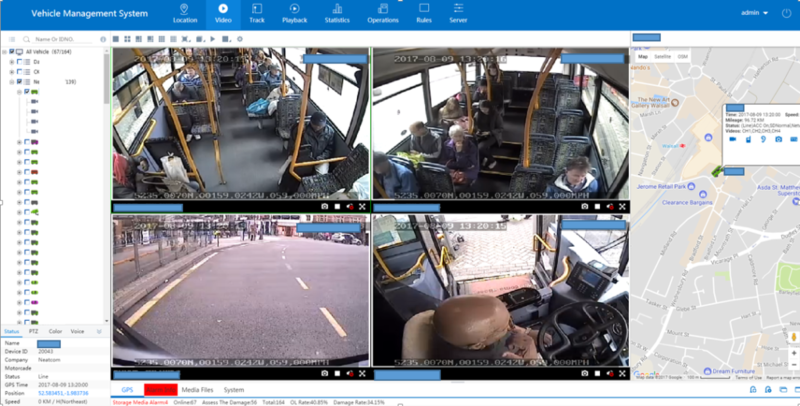 We developed the public transport 3G/4G live vehicle camera and tracking system with care, using our extensive experience and components from dedicated partners. The end result is systems that perform well in all kinds of vehicle. In addition we offer a cutting edge public transport crash warning system. The device gives the driver a clear indication as early as possible when there is potential for a collision. That way they can choose the correct course of action to avoid the accident, keeping both passengers and members of the general public safe. The public transport crash warning system can be utilised in a wide array of vehicles operating in various settings. 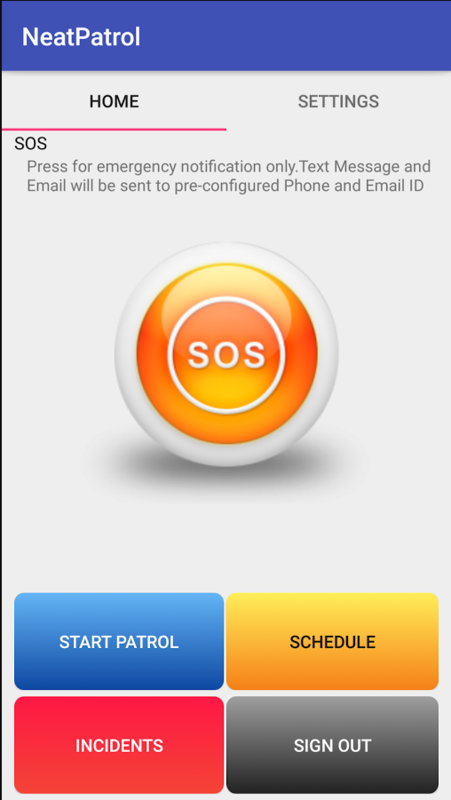 It is designed to monitor the situation carefully and provide alerts as early as possible. We developed the technology with care, utilising quality components and testing everything to ensure performance. At Neatcom we have built a really great reputation by offering cutting edge products that combine quality and value for money. We work closely with clients to get to know their needs and help them to make the right investment. When we offer recommendations we are always focused on satisfying the needs of the client. If you would like further information or want to start discussing your requirements please contact us on 0247 672 6618. Safety and efficiency are the two most important things in the courier sector. It is important that packages and staff are safe whilst also making deliveries within the relevant timeframe. Any issues can result in costly delays and disruptions as well as affecting customer satisfaction. At Neatcom we design, manufacture, test, and develop a selection of high quality devices to help couriers maximise safety and efficiency. 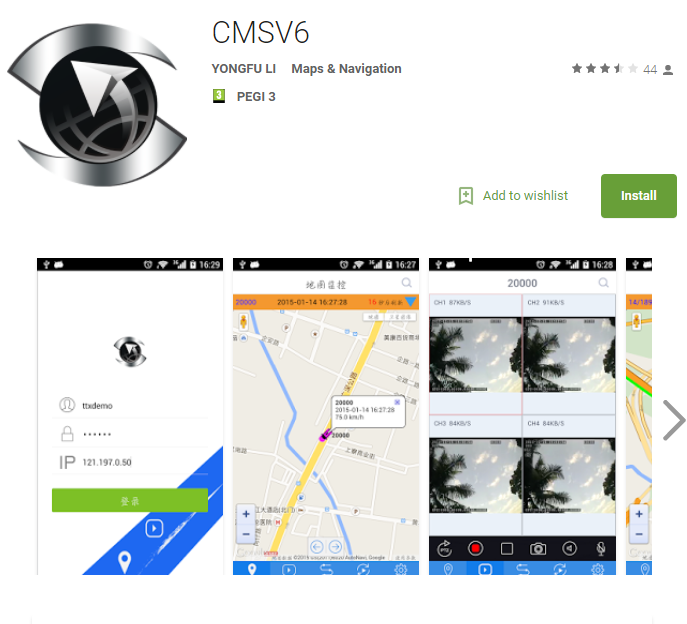 One option we offer is courier services 3G/4G live vehicle camera and tracking. This system can be fitted on to various vehicles allowing the operator to see inside and outside the vehicle as well as track the location. Cameras are really useful because they protect couriers in the event of accidents, vandalism, and other problems. They capture behaviour and show who is at fault for the issue. This is very important when it comes to investigation. The tracking feature means that GPS technology can be used at any time to pinpoint the location of a vehicle. That way progress can be tracked and the operator can ensure that the courier is on the right track. 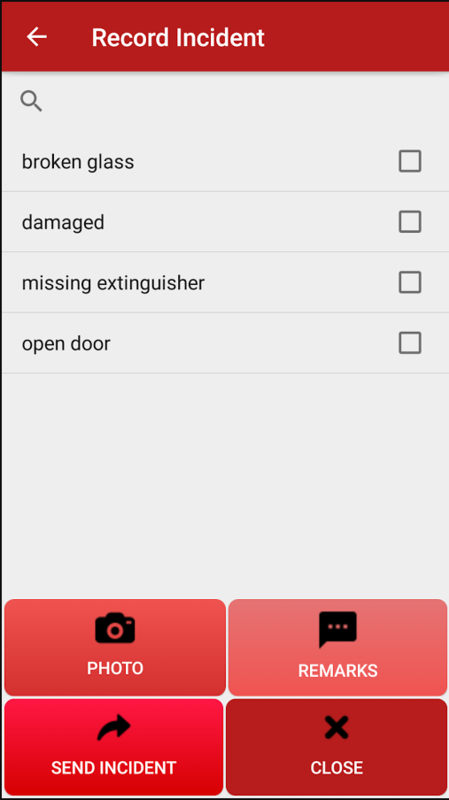 The feature also provides value in the case that a vehicle is stolen. Accidents can cause big problems for couriers, potentially injuring drivers, damaging items, and leaving vehicles off the road. 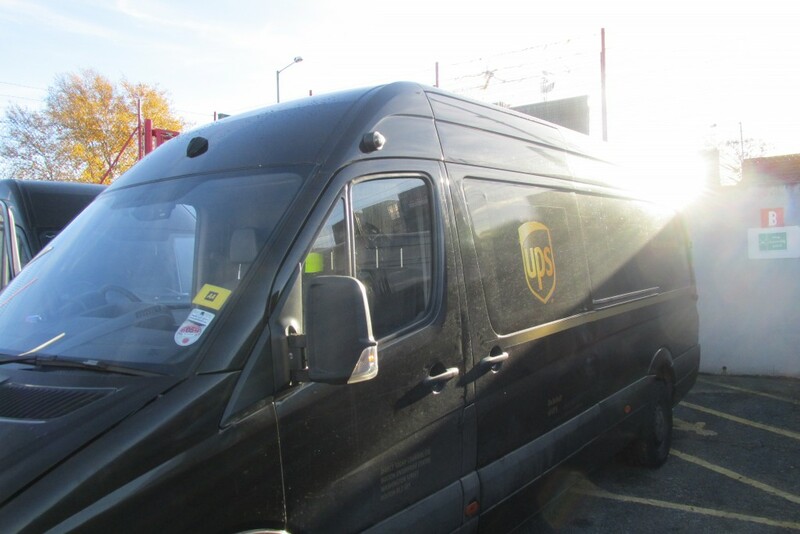 To protect against them we have devised a courier services crash warning system. The handy device lets drivers know when there is the potential for a collision, whether it is because vehicles are too close or traffic is coming in the opposite direction. The courier services crash warning system can provide big benefits because it keeps drivers informed when they are on all kinds of roads, including narrow residential ones and country lanes. 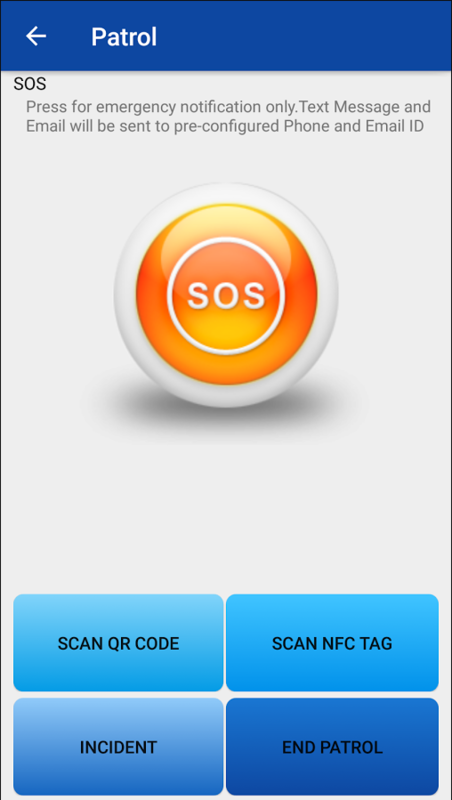 These are settings where the risk of collision is higher due to the number of obstacles. 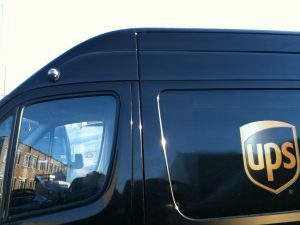 The technology boosts safety and helps the courier to do their job efficiently. Neatcom is committed to providing the very best vehicular technology. To achieve this we design and develop devices in-house, utilising the best components and our own extensive knowledge. 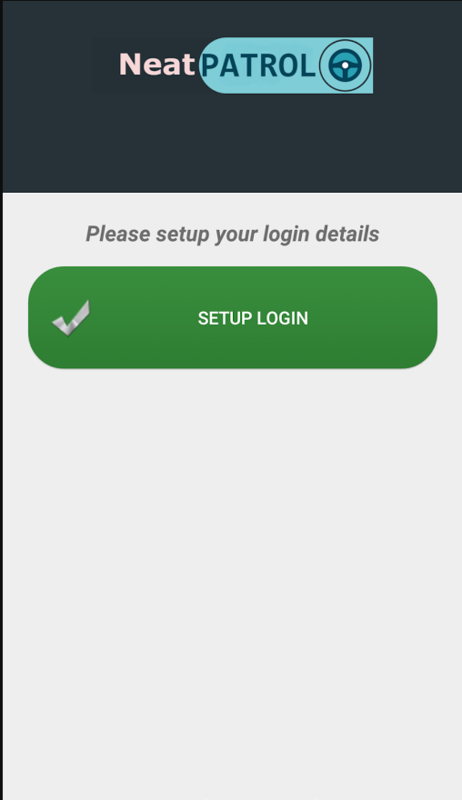 In addition we regularly conduct updates and upgrades to ensure the functionality and features are perfect. With all of that we still offer great value for money. If you are looking for cameras, tracking, crash warning, or any other kind of system please browse our website to view our products. We are confident you will find what you need. Remember we are here to help too. Simply call us on 0247 672 6618 and we will go over your requirements and assist you in choosing the right products. 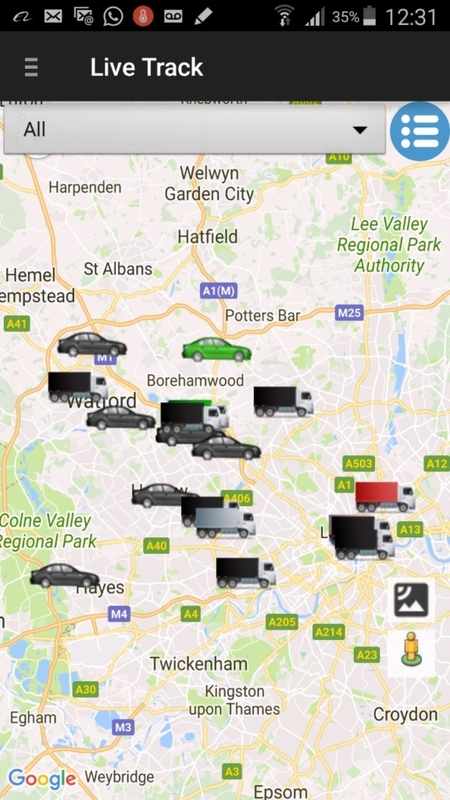 If you’re responsible for a fleet of trucks or haulage vehicles then you will be aware of just how important it is to be able to monitor them effectively. This way you can ensure they are where they need to be and doing their job. 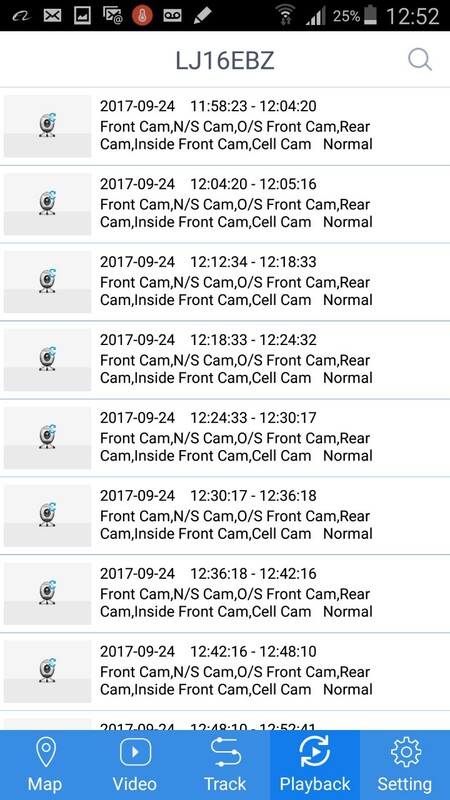 At Neatcom we enable this in the most thorough and reliable way possible with our trucks 3G/4G live vehicle camera and tracking systems. Ensuring your vehicles are driven above and beyond the expected standards is crucial to your business success. 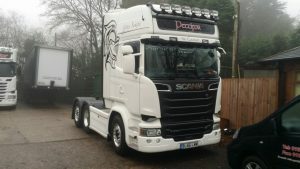 Hiring the best drivers available and having a well maintained fleet is, in realistic terms, only taking you halfway to achieving this. 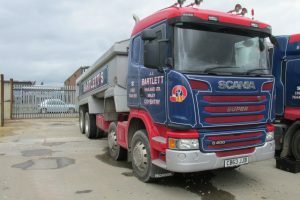 You need to make certain that your drivers operate the trucks to the expected standard, and that they are being used solely for their intended purpose. 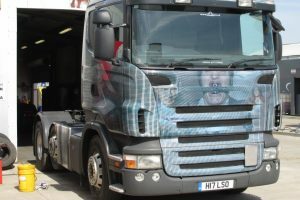 Many trucks are currently fitted with tracking equipment and dash-cam systems. Whilst these provide good value, this only comes to the fore in a reactive way. Many of these systems only let you see where a truck has been, or what happened during the course of it being driven, after theevent. 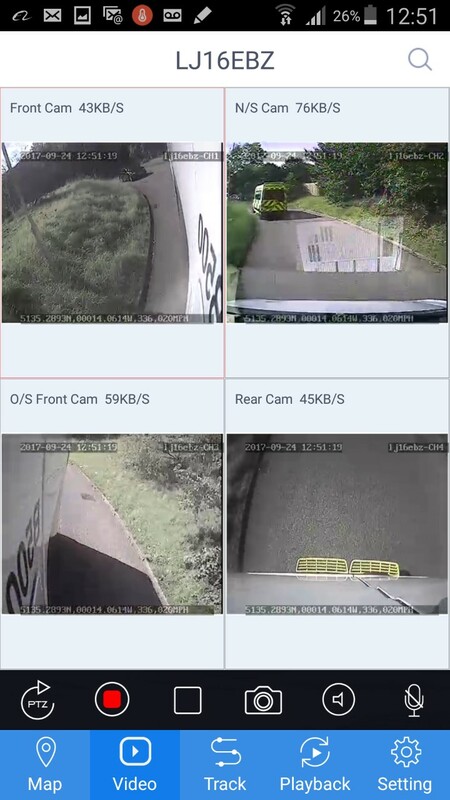 With our trucks 3G/4G live vehicle camera and tracking system installed you are able to carry out a real time observation of exactly what is going on at any time. The presence of our live vehicle camera and tracking system is generally one of the most valuable tools you have available for driver behaviour management. 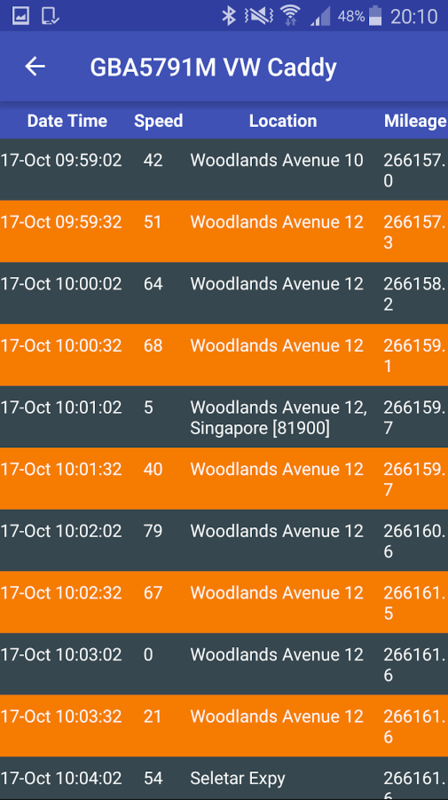 When drivers know that they are being monitored in real-time it instils in them the importance of ensuring conduct and behaviour always meets the expected requirements. Alongside cameras and tracking we also offer our trucks crash warning system. This device provides fantastic value, letting drivers know when there is a risk of a collision occurring. As a result the number of accidents is lowered and there should be less need for costly repairs to vehicles. Both systems can be utilised as an important part of all your truck resource management. 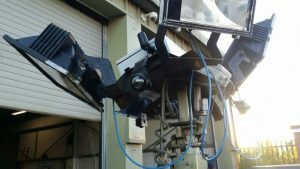 We designed them to be complementary so both the 3G/4G live vehicle camera and tracking and trucks crash warning system can become part of more extensive systems. 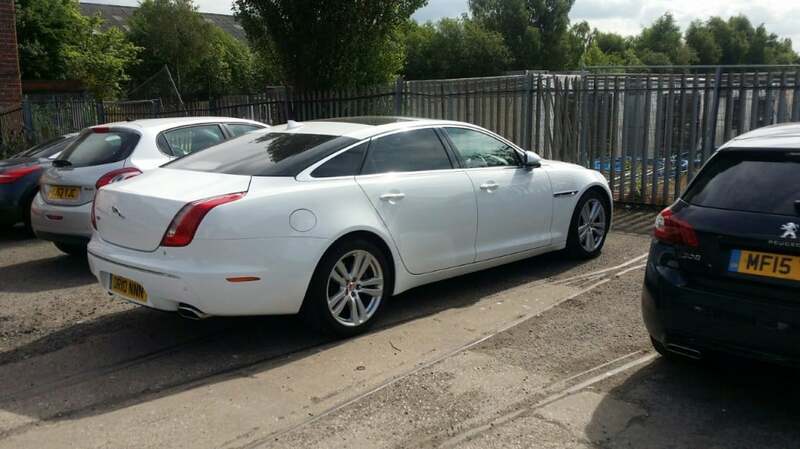 Our approach at Neatcom is to make sure we maintain our place at the forefront of vehicle safety and security. We know that the only way to achieve this is by putting customer needs and requirements first. The team here are totally committed to providing you with the best service possible. Simply get in touch at 0247 672 6618 to get started. The private hire sector of the transportation industry is one which has always been under close scrutiny. The rules and regulations in place designed to ensure good conduct are rigorously enforced to ensure the safety and security of members of the public who make use of the services. As penalties for breaches can be high – and cause irreparable reputational damage – private hire operators know the value of ensuring their drivers deliver complete compliance. 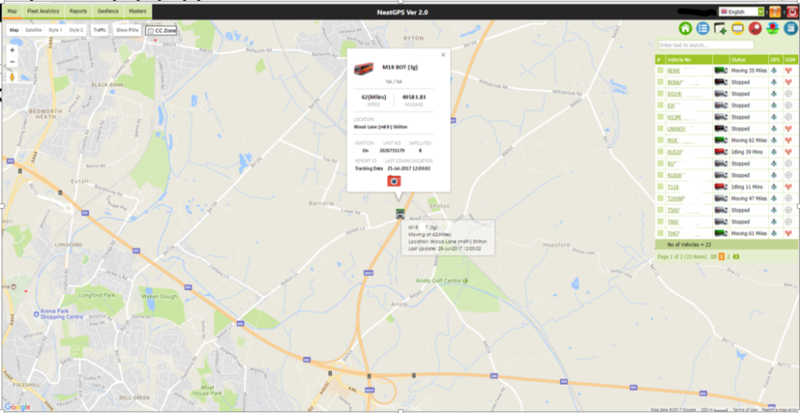 Neatcom supplies very special private hire 3G/4G live vehicle camera and tracking system hardware which helps ensure the above is delivered. 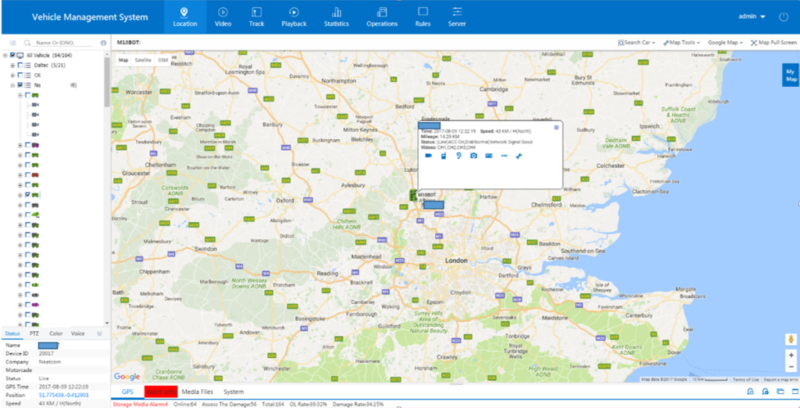 Our systems combine two of the most valuable monitoring features you can have in a vehicle – the ability to track the location of it in real time and a dash-cam feed of what it is doing. 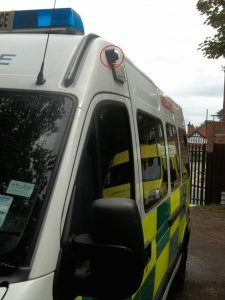 With our private hire 3G/4G live vehicle camera and tracking system you are able to conduct accurate checks on your fleet of vehicles in order to make sure that they are being used properly and professionally. 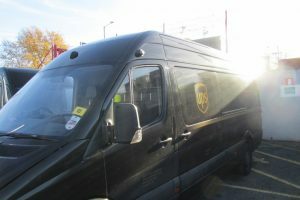 The presence of the equipment also ensures drivers comply with the expected behaviour levels and standards, as they are aware of all actions being monitored. The presence of the camera and tracking equipment is also highly valued by your customers. We live in a time in which there is a high level of competition in the private hire sector. There are also concerns for low levels of passenger safety offered by some operating in the space. Having our hardware on board will show customers that you take their safety and security very seriously. Our private hire crash warning system also helps with this. We are dedicated to making Neatcom the number one name in the UK for vehicle safety and security. The only way in which we can make sure we maintain this status is by ensuring our focus is always on meeting our valued customers’ expectations. 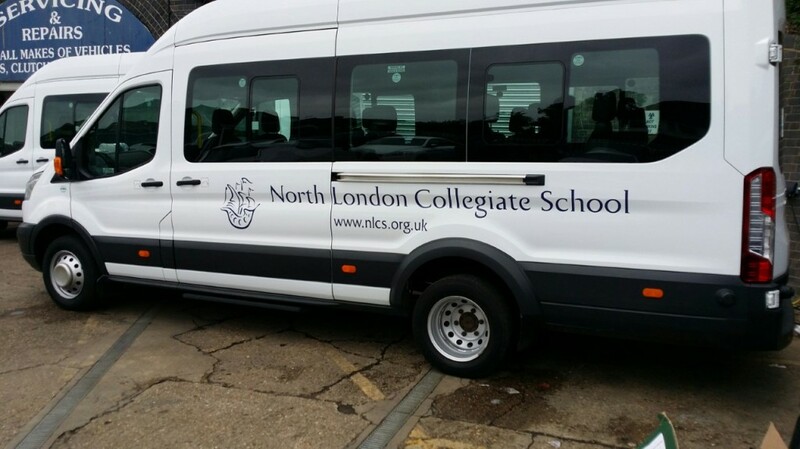 Whether it’s our 3G/4G live vehicle camera and tracking hardware, our private hire crash warning system, or any other safety feature you need in place, we are the people who can deliver the best standards. If you have any questions please don’t hesitate to get in touch. You can reach us by telephone at 0247 672 6618. 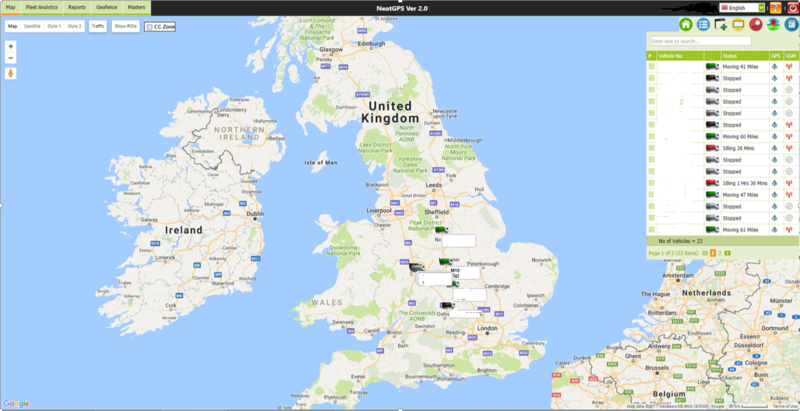 Whilst the ability to carry out live tracking on vehicles has been around for many years the technology which allows you to watch a real time feed from a vehicle is relatively new. So much so, in fact, that very few offer the equipment for it. We do though. 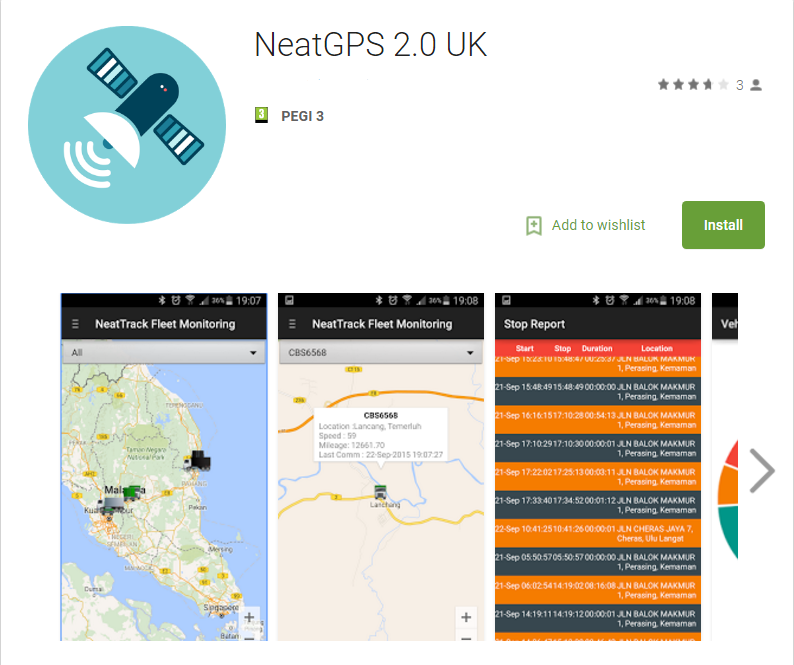 Neatcom has become one of the leading names at the forefront of taxi 3G/4G live vehicle camera and tracking equipment in the UK. 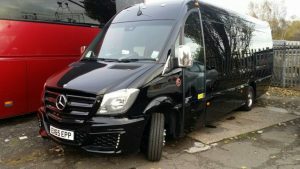 Our systems bring considerable benefit to any form of vehicle being used in the UK, irrespective of the nature of business it is involved it. That said, it would be fair to state that the taxi industry is one which benefits the most. 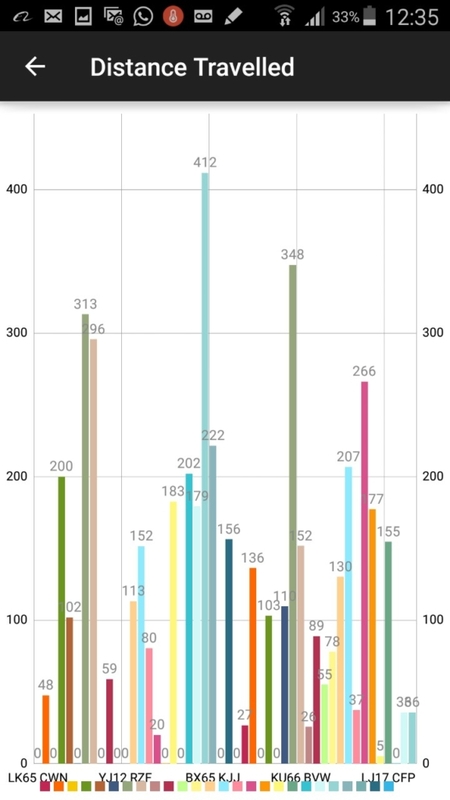 The prevalence of taxis on our roads means, from a statistical perspective, that there’s an increased chance in them being involved in traffic related incidents. 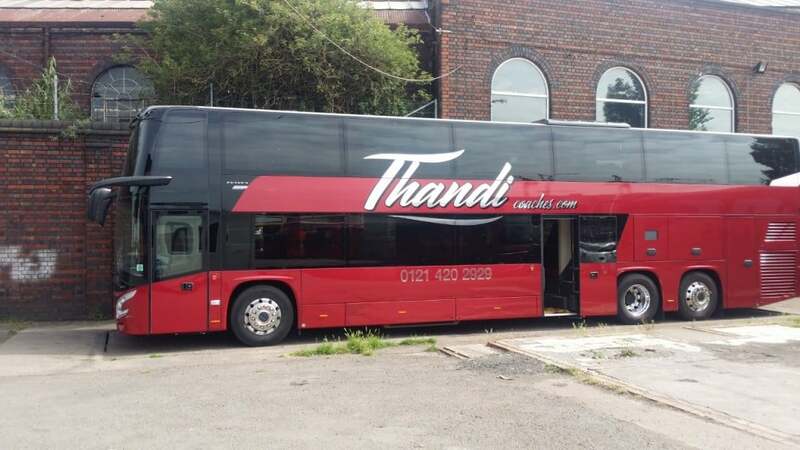 With competition being high and strong in the sector it is also important to ensure that all vehicles in your fleet are being driven in accordance with the brand values you have built up. The taxi 3G/4G live vehicle camera and tracking systems we supply are, in many respects, a natural coming together of the ability to track fleet vehicles and the rising popularity of dash-cam hardware. 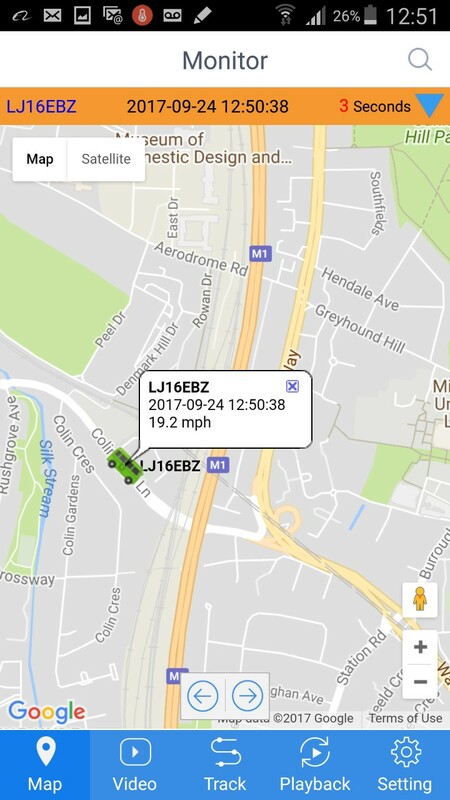 With our equipment you can see where a vehicle is and what exactly is being done to or with it in real time. 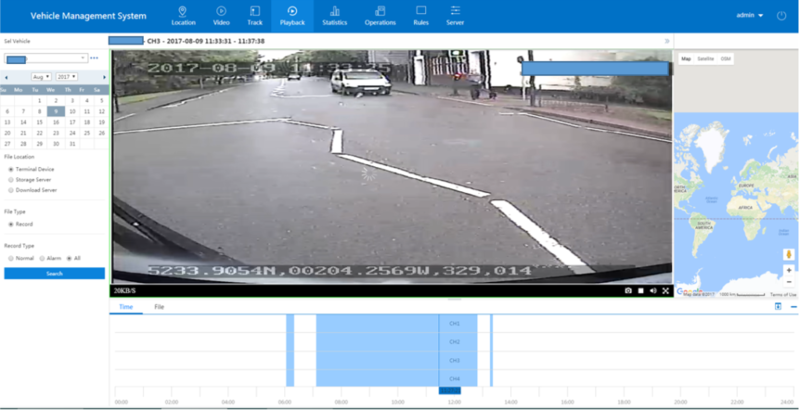 Being aware of a monitored live feed is usually sufficient to ensure that your taxi drivers are performing work to the level expected, with recordings also being possible as you would expect with a more standard form of dash-cam. 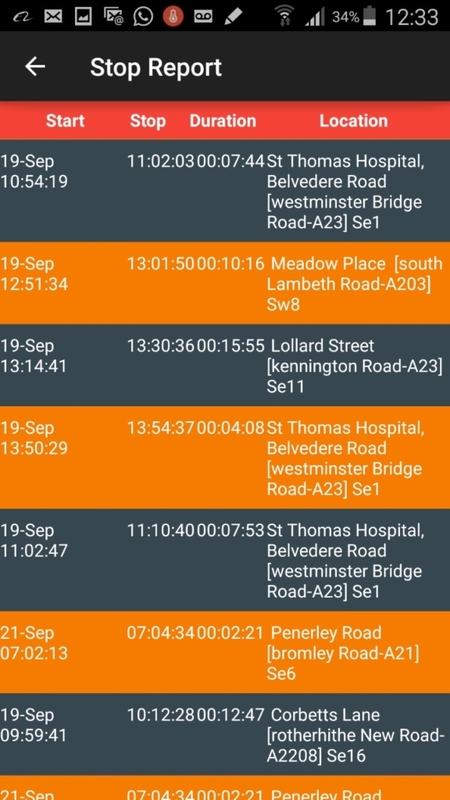 Alongside the cameras and GPS tracking we offer a taxi crash warning system. 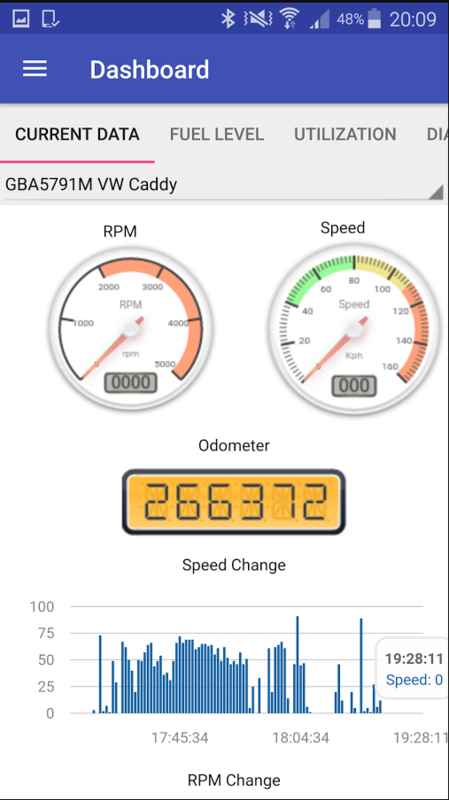 This is another useful device that can help drivers to improve their performance. Installing one can help to keep vehicles on the road and reduces the risk of collisions and the costly damages they cause. Both of the systems give your clients every assurance that their safety and security is a paramount concern, whilst at all times knowing that their privacy is being respected. This can prove to be a valuable marketing tool. At Neatcom we take pride in being a customer driven business, focusing on delivering systems which only enhance and benefit your commercial operations. Our 3G/4G live vehicle camera and tracking hardware and taxi crash warning system are highlights of our commitment to you. To see how our systems and equipment can benefit your business please contact us. If you call us at 0247 672 6618 one of our specialists will discuss your requirements and give you valuable insights into your best options. If you’re responsible for plant vehicles and machinery then you would hardly need us to illustrate the dangers which exist. What you are looking for is a way to manage these risks as safely and effectively as possible. We supply hardware which supports driver behaviour management processes, with our plant 3G/4G live vehicle camera and tracking equipment and crash warning systems being at the forefront. One of the realities of being responsible for plant vehicles and machinery is that you simply cannot be present to watch all of them being used simultaneously. 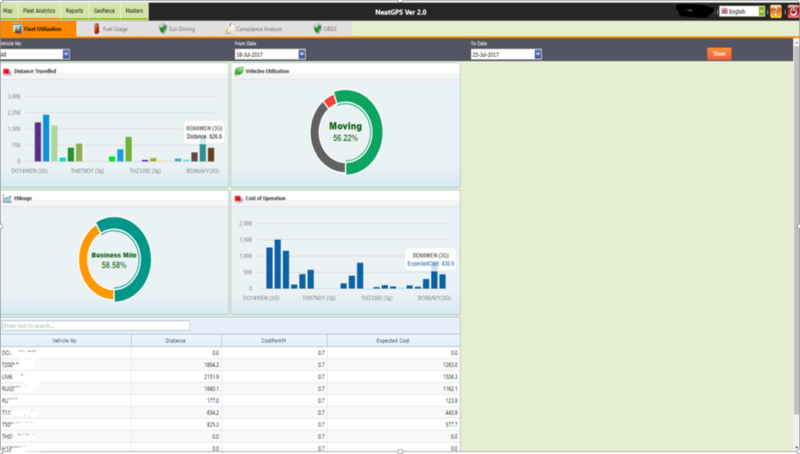 Using our products does, however, enable you to monitor work in real time from a single location. The plant 3G/4G live vehicle camera and tracking hardware we supply gives you a direct feed of dash-cam footage no matter where you are located. 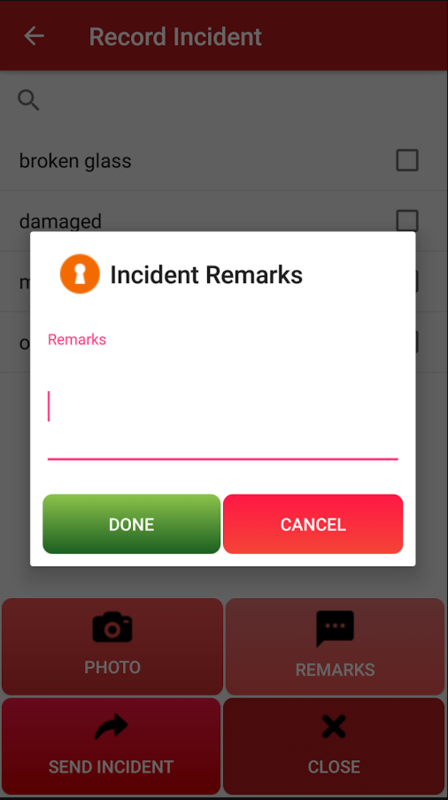 When combined with other technologies – in particular our plant crash warning system – you are able to have a comprehensive off-site management system in place. In a plant environment it is usually the case that driver behaviour management is a priority. Those in control of machinery and a vehicle can, in their actions, determine whether or not they are used safely and correctly. The presence of cameras and tracking hardware has a proven track record for providing a positive influence on driver behaviour. 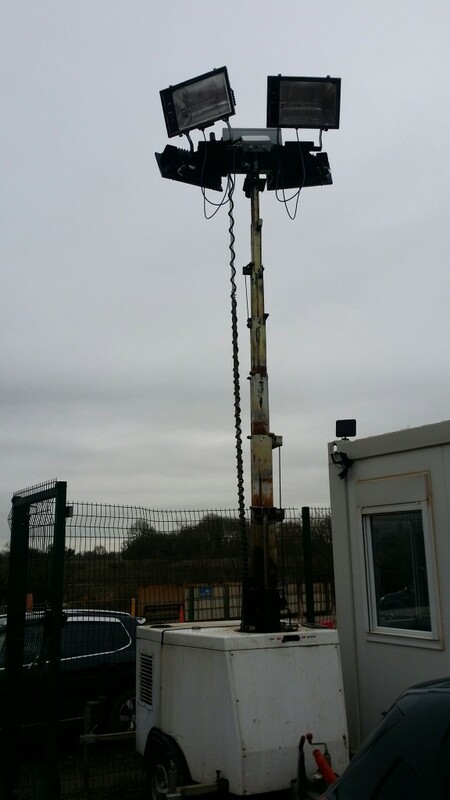 The plant crash warning system we supply can be integrated with our 3G/4G live vehicle camera and tracking hardware in a practical way. This provides you with yet another valuable edge in Health & Safety management. The device will notify drivers so they can take action to avoid collisions, improving safety. Plant vehicles and machinery should only ever be operated by trained, qualified and dedicated professionals. It is seldom that this is not the case. This in itself, however, does not mean that incidents are always avoided by default. Here at Neatcom we are committed to providing you with the equipment you need to help ensure correct behaviour and operational processes are followed, including a reliable plant crash warning system, cameras, and GPS tracking. If you would like to find out more about any of our products please feel free to get in touch on 0247 672 6618 or browse our website.